Have a question? We hope this list of FAQs will provide the answer – but if you have any other queries, feel free to contact us using this form, calling 03 9108 5490 or emailing info@unitetofightcancer.org.au. We’re always happy to help! What is Unite to Fight Cancer? 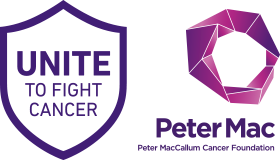 Unite to Fight Cancer is Peter Mac’s new fundraising event which is coming to Melbourne in October 2019. You will be able to Ride (60km or 100km), Run (21km) or Walk (7km or 21km) together with friends old and new. When is the event and where it is starting? The event is on Sunday 27 October 2019. It will start with an inspiring opening ceremony early in the morning (more details nearer the time), where we will finish later with a proud moment of reflection during the fantastic finish line moment. The money raised by the thousands of wonderful people who will be stepping up to the challenge is going to help fund research at Peter Mac. With your help we can find cures sooner and help support more people affected by cancer, and their loved ones. As long as you are over 16 on the date of the event, we’d love to have you along. You can find out more by joining us here or if you have some more questions find out more about the event here and get in touch with us here. If you’re between the ages of 13 and 16, you can still participate with a parent or guardian! Can I volunteer to help out if I don’t want to take part? Yes – we are always in need of amazing volunteers to line the route, cheer on the participants and help look after them at the pit stops. You can let us know you’re interested in becoming a volunteer, here. What is the route of the event? The final routes for the Ride, Run and Walk will be shared in the last 2 weeks before the event, as there are often small last-minute changes to aspects of the routes. You’ll be able to see an indication of the routes here – closer to the event once we have an update. Sorry, we can’t have prams on the route but your family is most welcome to join you for the opening ceremonies and the fantastic finish line moment, which will be confirmed closer to the event. If your child is between the ages of 13 and 16, they can still participate with a parent or guardian! Can my dog, cat or possum ride / run / walk with me? Sorry, we love dogs, cats and possums but they are not permitted on the route. We certainly welcome well-behaved furry friends at the start or finish line as team mascots! What if I don’t feel I can finish the route? Is it a race? It’s not a race, you can set your own pace! We’ve got pit stops along the route and support crews if you need them (who for example can help you get your bike to the finish line if you needed). Whatever you do, however you do it, just Unite to Fight Cancer and you will be making a real difference! What should I do with a cash donation? Please don’t send us cash in the mail. We recommend paying the cash to your own bank account, and then use a card to make a donation of the same amount online on behalf of your generous donor. Everyone commits to raising $750 individually but you can of course take part as a team and choose to hold team fundraising activities. Please note donations cannot be split, moved about / re-allocated once they have been processed. If you raise funds together please distribute them between each part of your team before submitting them online. Your fundraising powers Peter Mac’s cancer research so we can bring hope to every person diagnosed with cancer. We’re all committing to raising at least $750 for Peter Mac, and we have coaches, emails and added support to help you make it. What if I don’t reach $750? We really are here to help you every step of the way. Our coaches have taken on similar challenges and raised thousands of dollars so they can help you smash your target. On average our participants raise over $1,000 for Peter Mac by taking part in events like this. If by the date of the event you still have a little bit to go to reach the $750 but wish to participate, you could choose to make your own donation to get you over the line. First of all we want to say thanks for your donation – without your help we can’t make the breakthroughs we do. If your receipt has gone missing please contact us on info@unitetofightcancer.org.au. Can you provide me with an authority to fundraise? Absolutely, please contact us at info@unitetofightcancer.org.au and we’ll put this together for you. I’m holding a sausage sizzle / bake sale / sponsored popcorn bath contest and have been asked for public liability insurance, can you help? Sadly no. Peter Mac’s public liability insurance does not cover our participants’ fundraising activities. There are insurance companies which offer affordable short-term policies to cover you should you wish to get the sausages sizzling. Or contact us on info@unitetofightcancer.org.au because we can offer heaps of other great, more vegetarian, fundraising ideas! Can you provide posters, flyers, money tins etc. for fundraising purposes? We have a selection of posters which you can download here ready for you to print them off. For flyers, you might want to print the posters in a smaller format, or hand out the largest flyers in Melbourne. And for money tins, we suggest buying a coin tin, printing the Unite to Fight Cancer logo on a sticker and popping it on your box. I can’t take part any more, can my friend take my place? Sorry, all participants need to register and pay their own registration fee. We can’t arrange substitutions and replacements. We need to ensure everyone receives a personalised name bib and everyone is covered by our insurance on the day. Can you help me with advice about training for the event? Are there some training events I can attend? 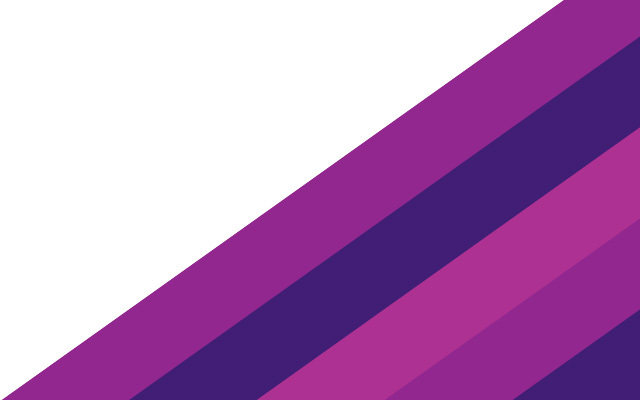 We’ll be hosting training events in the months building up to the event, once we have the dates confirmed we’ll notify everyone who signed up to find out more about the Unite to Fight Cancer event. Can I attend if I have a medical condition? We always recommend that you consult your doctor or healthcare practitioner to make this decision. If they need more information about the event to give you the correct advice, they are welcome to contact us so they can fully understand the level of physical challenge involved.